It’s a strange little parable we have today. The fate of a fig-tree appears to hang in the balance. The fig tree has been growing for three years, and it has not yet born fruit, and the owner of the vineyard is getting impatient. This tree is a waste of space, it’s a waste of soil, a waste of water. If it’s not going to produce the figs, it’s no use to anyone. 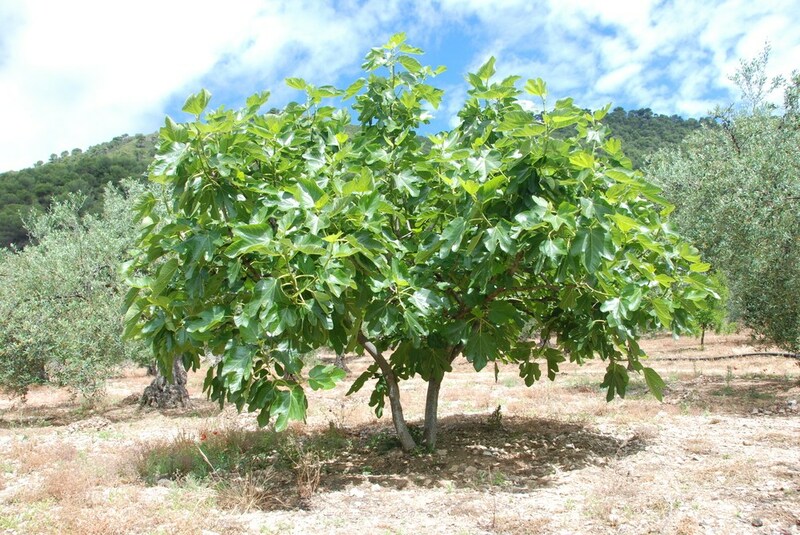 Other fig trees planted around the same time are bearing – a fig tree typically produces some fruit in the second year, and the third is when it comes into its own, its first real harvest. Thank you once again, Wikipedia. The parable speaks to us of two different attitudes to the fig tree, two different attitudes to a situation where no fruit is being born, no positive outcome is coming from the work, the time, the effort, the resources, that are being put it. The first is the attitude of the owner of the vineyard. A man of business, the owner reads the situation in terms of costs and opportunity, in terms of risk and reward, and he has had enough. He gets that there is an opportunity cost in allowing this tree to remain, unproductive as it is. Three years, no fruit, bad tree, cut it out. And then there is the gardener. A man with a little more experience in the tending of plants. His focus is less on the business, and more on the tree. Where the owner would focus his attention only on the failure, the lack of outcome, the gardener looks to the needs of the tree. Maybe the soil isn’t fertile enough. Maybe it needs more manure. Maybe it’s just taking its time. The gardener, the man who knows the trees, sees that there is nothing fundamentally wrong with the fig tree. Perhaps his experience tells him, some trees just take a little longer. Some trees need a little bit more. And his mind goes not to what the tree is supposed to produce, but what the tree needs to flourish. It’s not that the gardener doesn’t care about the fruit. It’s just that that isn’t the first think he looks at, it isn’t his only criteria. The tree, to him, is more than the fruit it bears. And the absence of fruit might not be because there is something wrong with the tree. How foolish to blame the tree if the problem is with the soil. Our world rushes to judgement. Produce or perish. Outcome-oriented. Measurable metrics. But I believe Jesus would have us hear that he looks less at what we are producing, and more at what we need to flourish, to become the people he knows that we are able to become.Not that the fruit doesn’t matter, but that it isn’t the only thing that matters. You see it, dare I say, in our politics. High rates of school dropout and truancy in some indigenous communities? Blame the tree – the kids, the families, the community. Because for the most part (of course, there are exceptions), people don’t want to fail. They don’t want to drop out. People don’t want to live lives which are unfruitful, unproductive, meaningless. Any more than you do. So when we see a lack of fruit – whether it be in individuals or communities, families or countries, schools or churches – the true gardener doesn’t look first at the barren branches, but at the soil, the resources, the context. And the punchline is this, as Jesus’ listeners would have well known (even without Wikipedia): though most fig trees produce fruit in the second and third year, some just don’t. And those trees that produce fruit later often produce more – they’ve taken longer to grow, to put down deeper roots, so that when they do fruit, they are amongst the most productive in the vineyard. The gardener, the one who knows the trees, is not purely sentimental. In the end, his approach, his care for the need of the tree, will produce more for the owner of the land than his haste to judge and chop down ever would. Which invites, I suggest, another perspective from which to read this parable. We’ve looked from the view of the owner, and the gardener – but read the parable again now from the view of the fig tree. You aren’t producing fruit. You know it. Things aren’t working out the way they are supposed to. You can see people looking at you with disappointment, with scorn, even with contempt. You feel like – well, maybe not a failure, but not really a success. The things you set out to do for God, the projects, the missions, the dreams, the hopes, don’t quite work out, don’t quite bear fruit. And then you hear the voice of the gardener, speaking up on your behalf. Looking at you not as a failure but as a tree with untapped potential. A tree which may need tending, may need support or resources or care. But a tree that is worth persevering with. A tree which, given what it needs, may yet produce more than you could imagine. So us for us fig-trees in the garden tended by God, it’s encouraging to know: our gardener, our God, doesn’t look so much as what produce; God looks at what we need. And God doesn’t give up on God’s trees easily. And from there comes our courage to try again.